Quadgirl & QuadDawgs quad and ATV rental is located in Los Barriles, Baja California Sur. We have the newest quad rentals, ATV’s, UTV’s, 4×4’s, and 4 wheelers for your vacation and adventure in Los Barriles and surrounding areas. Our All Terrain Vehicles (ATVs) and Utility Task Vehicles (UTVs) are brand new and include 2-seater ATVs, side by side 4-seater UTVs and more. Isn’t it better to use someone you can trust? We hope to hear from you soon! Mexico’s Los Barriles, Baja California, is an area of white sandy beaches with warm crystal clear waters that make for breathtaking scenery. What better a way to explore the area than on an ATV? QuadGirl & QuadDawgs quad rentals has a wide variety of quads to choose from. 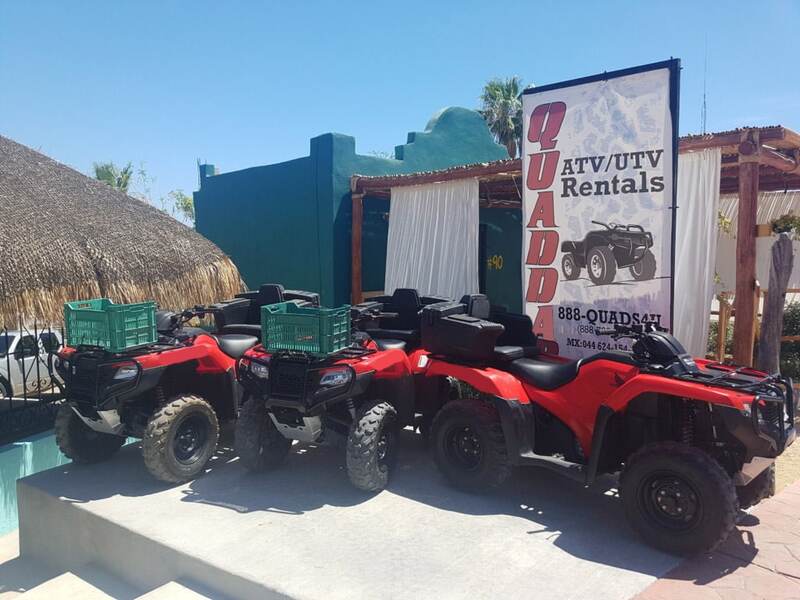 Whether you’re looking for a 4×4 rental, a side by side rental, an ATV rental, a UTV rental, a 2-seater or 4-seater rental QuadDawgs Los Barriles has the best quad rental to fit your style! We can help you plan your adventure and even provide a guide or explore the local waterfalls, seaside and mountains at your own pace! 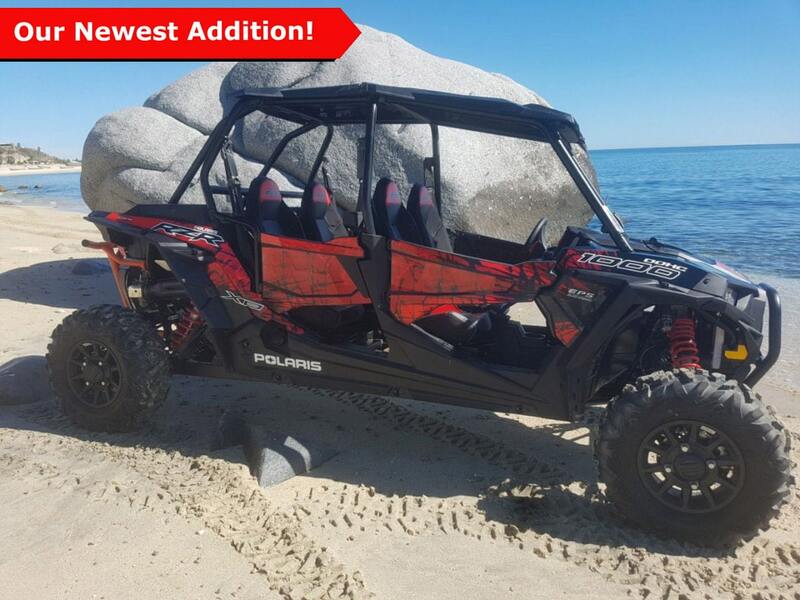 Due to the overwhelming positive response for reservations this season, QuadGirl and QuadDawgs has added additional equipment to their rental line including quads and two more 4- SEATER RAZOR SXS! Call or email us today to reserve yours today. The newest quad rental equipment in town! Call us toll free from the US 1.888.QUADS4U (1.888.782.3748) or fill out our easy online form.